The days are hot and long and a drive to work (and home - it’s even hotter in the afternoon) can sometimes feel like you are sitting in a hot tin, even with the aircon on! Hot temperatures mean your car is more at risk of overheating. There are a number of reasons why your car might overheat, some of the common reasons include a low level of coolant or antifreeze, low oil levels or a faulty thermostat that does not allow for your car’s engine temperature to adjust. Low levels of antifreeze or coolant normally come from a leak in your engine. How do I know my car is overheating? With all the modern cars on the roads today, it is often difficult to know when your car is overheating as you can’t hear anything different in the engine being so silent, in other older models you might hear a ticking or thudding noise or even see steam coming from the hood. 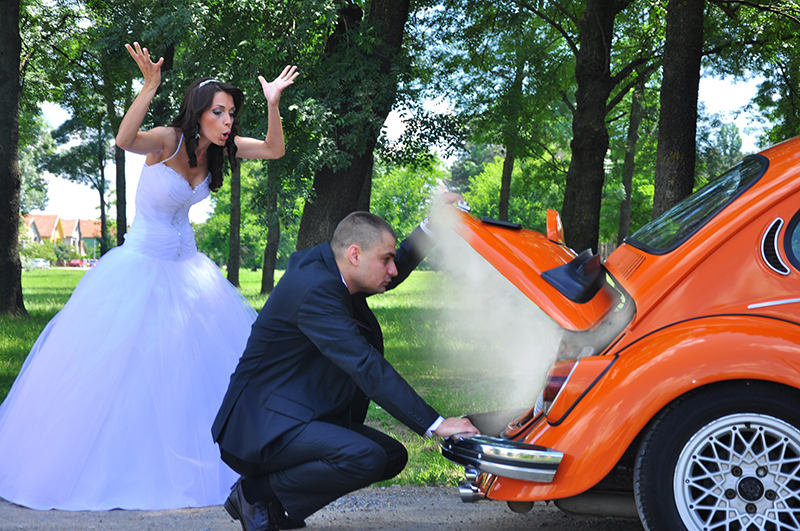 Check out this article on the warning signs for a car that is overheating. But mostly, you can tell your engine is too hot by looking at the temperature gauge, this should be at the midpoint, but when it is far above this line, then your car might be overheating. As soon as you notice that your temperature gauge is rising, or if your car is steaming, ticking or thumping from under the hood, then turn off your aircon. Once you have done this, open your windows to help your car to cool down naturally and keep you cool as well! Running your aircon means your engine is working harder than normal, that’s why you need to turn this off immediately. This might sound strange, but by cracking the heat it helps to transfer the heat away from your engine. If you have stopped in traffic, then shift into park or neutral and rev your engine a little to help the water pump in your engine speed up as well as the fan, this helps more cooling liquid and air to come through the radiator to help cool the engine. Do not ride your brakes, rather crawl along slowly and idle your car as the brake drag will increase the load on your engine and heat it up more. If the above steps have not managed to adjust your car’s temperature gauge back to the midpoint, then you need to find a safe place to pull over. Driving with an engine that is overheating could cause serious damage to your car’s motor. As soon as you have pulled over, turn off your car and open your bonnet to release some trapped heat. Be careful when opening the hood as it might be very hot. Wait until the engine seems to have cooled down until you drive again. If all of the above steps have not worked, then you need to take your car to a mechanic to have it inspected to see if there are any leaks or oil issues in the engine, it may be as simple as a faulty radiator cap or low levels of coolant. Make sure you are covered for the unexpected, expected and everything in between. Accidents do happen, so get yourself vehicle insurance that is simple, comprehensive and more importantly, affordable.